Indulge in the serenity of the sea, relish the luxury of Crystal, and marvel at mysterious Easter Island as you make your way to the idyllic isles of Polynesia. Departing February 19, 2019, Crystal Symphony will transport guests from Valparaíso, Chile, through the South Pacific Ocean into a paradise of island exploration. The 16-night luxury cruise will visit Fakarava, French Polynesia, a UNESCO Biosphere Reserve and a snorkeller’s dream locale, before travelling to Moorea, Society Islands, with its crystalline lagoons, fjord-like bays, azure waters and velvety mountain peaks. Bora Bora in the Society Islands will captivate guests as the ultimate island paradise before Crystal Symphony calls into Papeete, Tahiti, for an overnight stay before guests disembark. This luxurious itinerary includes a ‘Jazz Days & Cabaret Nights’ Experiences of Discovery theme; a multi-layered exploration into the world of jazz with enriching lectures and live musical performances by some of the genre’s best artists. Onboard, Crystal’s all-inclusive features include beverages such as select fine wines, Champagne, premium spirits and all non-alcoholic beverages; gratuities for housekeeping, dining and bar staff; complimentary evening of specialty restaurant dining in Prego and at least once in Nobu Matsuhisa’s sea-going restaurants (with additional reservations or visits available for a modest fee); 24-hour room service; complimentary Wi-Fi/Internet access; enrichment workshop series featuring lectures by renowned authors, ambassadors, celebrities and destination experts; fitness programs including yoga, golf instruction and mat Pilates; and much more. Fares available from US$5,004 per person, including Book Now Savings. Book by 31 December, 2018. TERMS & CONDITIONS: *Fares are cruise-only, per person, in US dollars, based on double occupancy, apply to new bookings only, and include taxes, fees and port charges. Fare quoted applies to category D on voyage OCS190219-16, including Book Now Savings. Book by 31 December, 2018. Solo Traveller Fares available on request. Optional dining in the Vintage Room attracts an additional fee. 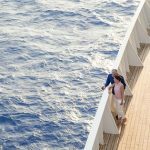 Cruise-only fare does not include land programs. 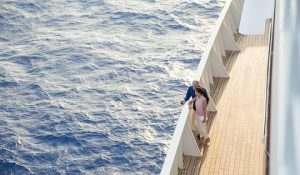 All offers may not be combinable with other promotions, apply to first two full-fare guests in stateroom or suite, are capacity-controlled, subject to availability and may be withdrawn or changed at any time without notice. All fares, itineraries, programs, policies and shore excursions are subject to change and correct at time of printing. Restrictions apply. For complete Terms & Conditions, visit crystalcruises.com/legal. ©2018 Crystal Cruises, LLC. Ships’ registry: The Bahamas.